I’m big on setting goals. I’m also big on making lists. To me the two go hand in hand. Don’t ya think? This is the time of year where everyone starts talking about what they’re going to do. The year is still fresh like a first snow fall. It’s clean, uncluttered, untouched. January makes us feel like anything is possible and you know what? It really is. 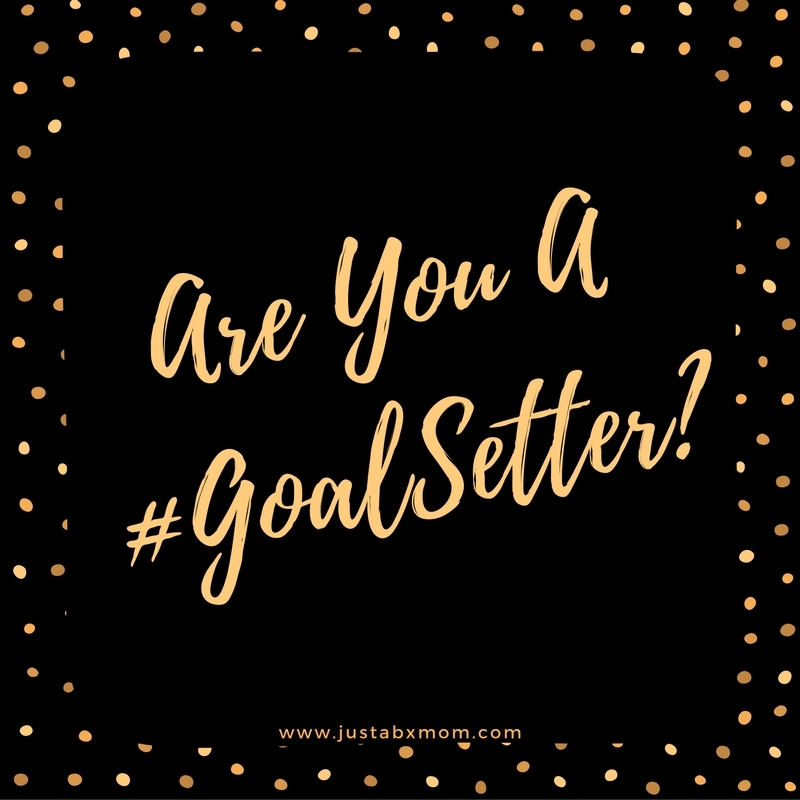 And I’m here to share with you how to get through the year checking off your goals. If you asked 100 people how they achieve goals I bet you get close to 100 answers. We each have to find a method that works best for us. And we have to be honest when that method doesn’t work because sometimes it won’t. And that is okay! Dream It – Every goal starts as a dream. You wake up one morning with an idea. You see something and are inspired. You are talking with a friend and all of a sudden a wish is discovered. Every goal you’ve ever made has started from a sudden thought. The thing is we have a gazillion thoughts a day. How do we know which ones to focus on? For me? I focus on the ones that just won’t go away. You know what I mean. You mentioned to a friend that you want to start working out more. Now suddenly everywhere you turn is a gym advertisement, a yoga challenge, a meme or article about exercising. You see the Pyramids of Egypt in a movie and take a mental note that you’ve always wanted to visit them in person. Now you’re spending your commute Googling flight plans to Cairo. If you dream it you can achieve it. But only if you’re ready to move onto the next step! Plan It – Dreaming is great. Don’t ever stop dreaming. The thing about dreams though is if all you do is dream then all you will ever have are dreams. Once you decide a dream needs to become reality you need to work for it. You need to devise a plan and break it down into manageable steps. Once you break your dream (which has now become a goal) you can celebrate small victories on your way to the prize. If you’re not willing to work then goal setting isn’t for you. (And in all honesty, neither is success.) The other great thing about breaking down your goals is that it allows you to set real expectations and re-frame your goals when necessary. One of my 2017 goals – get 10,000 followers on Instagram. Once I broke it down to a few steps I realized that to get to 10K by December 31st I would have to gain about 145 followers a week without losing any! On average I gain about 30 followers and lose 10 a week. Does that mean I forget my goal? Nope. That means I re-frame it and make it make sense. A goal has to make sense. Rather than seeing the number 145 and saying that’s too much, I’ll never get there I re-frame. I look at it from different angles and build my steps that way. My magic number isn’t changing. I still want to hit ten thousand but I’m realistic that it will take a whole heap of work to get there organically because I’m not into buying followers. It is important though to think about all of your options so you can rule out what isn’t right for you. My plan now is to do some research on my statistics and see what causes people to follow me. Once I get do the research I have to revisit the current number of followers I have and break down how many more I need. I then continue working and revisiting the numbers. It can be tedious but slow and steady it will get me to my goal. And at some point in the process I have to think about is 10,000 the real goal or is increasing my followers the true goal. Do It – This is it. We’ve dreamt it, we’ve planned it now let’s do it! We already started getting our goals reached in step two and you might not have realized it. Every time we took crossed something off the list of steps we made then we have gotten closer to achieving the ultimate goal. It might still seem far away but it is no longer an impossibility. You can now taste it. You can now feel it. And you might have already even celebrated it! Victory might not always look as we expected it and that is quite alright! Huh, did I lose you? Trust me it’s okay. If your dream was to visit the pyramids this year and when we get to December you haven’t booked your ticket you did not fail (unless you never got started). Maybe instead your victory was in getting your passport. Maybe while planning and prepping for Egypt you realized that you’re allergic to camels! Maybe in the research phase you realized you really wanted to see Latin American pyramids instead. Or you know what? Maybe you renewed your passport, booked your trip, took photos with the Sphinx and decided it wasn’t what you expected. Either way you still are victorious. You did it. If I don’t get to 10,000 followers I will not have failed as long as I took the steps towards increasing my followers. Now if I decided to stop posting on Instagram tomorrow and then signed back in come December 31st looking for 10K it’s safe to assume I got stuck on tip 1. It’s also never too early to start your littles on setting goals. Don’t think that because they’re little they can’t get it. JustaBXgirl regularly sets financial goals. She identifies something she wants. I tell her the cost. We count what spending money she has and identify how much she needs. I have seen her meet her goals and I have seen her revisit her goals. She has been doing this for at least a year if not longer. She’s about to be four! It’s only difficult if you’re not used to it. Get used to it and it might still be uncomfortable at times but it won’t always feel difficult. You are my kind of person! I don´t have just dreams, I also have a plan and the motivation to work consistently to do it. Love your approach with the 10000 followers, you found a way to do it, now you will have to work hard to do it, but that´s a goal! if it was easy everybody would be living their dream life. If only we could get the entire world to see things our way!